First issue addressed was the charging time. Epyon, a company specialised in fast charging any kind of Li-Ion battery, can fully charge 20kWh in 15 minutes, claiming to bring it down to five minutes until 2015. Only when the battery is fully discharged it is necessary to stand for 15 minutes. This however only happens after driving for a long period, about two hours. After that time car clubs and traffic departments advise a break of 15 minutes anyway in order to move your limbs, relax and get some fresh air - basically recharging soul, body and mind. 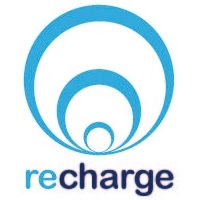 An actual waiting time rarely occurs, because with the ReCharge system fully operational your car is charged while you take care of your life, e.g. doing groceries, attending a meeting or getting food at McDonalds. Instead of you bending your schedule to refuel, the car does it whenever possible. "recharge soul, body and mind"
What can't you do in 15 minutes?